- a non-resident taxable person. Ans. Yes, every registered person is required to file GSTR-9 irrespective of Turnover. However, facility to file GSTR-9 on single click may be provided in such case. Q 20. Where to report DN / CN issued to unregistered person? Q 21. Whether supply made to registered person (B2B) as required in Table-4B also includes outward supply on which tax is payable by recipient on reverse charge basis? Q 22. Where to report stock transfer made to another branch situated in another state if both are registered? Q 23. Tax payer has made two type of exports, one with payment of tax and the other without payment of tax. Where to report both these transactions? Q 24. What is the meaning of deemed exports to be reported in Table-4E? Q 25. Whether all advances on which tax is paid but subsequently got adjusted against invoices shall also to be reported in Table-4F? Q 26. Whether advances received during pre-GST regime but against which invoice is not yet issued is to be reported in Table-4F? Q 27. Which information shall be to be provided in Table 4G for Inward supply on which tax is to be paid on reverse charge basis? Q 28. Whether credit note / debit note issued during 18-19 in respect of transactions of July-17 to March-18 is to be reported in Table 4I and 4J? Q 29. How are amendments made in supply to be reported in GSTR-9? Ans. Amendments in supply is to be reported in Table-4K, 4L, 5J, 5K, 10 and 11 depending on nature of transaction. E.g. If value of original B2B supply is Rs.1000 but which was reported as Rs.100 in GSTR-1 and subsequently amendments has been made in next GSTR-1 with correct value then Rs.100 will be reported in Table- 4B and Rs.900 will be reported in Table-4K. Q 30. Which information is to be provided in Table-5? LUT or Bond is to be reported in Table-5. Even outward supply on which recipient is liable to pay tax on RCM basis is to be reported here only. Q 31. Which information is to be reported in Table-6? Q32. GSTR-3B doesn’t require ITC to be bifurcated into Input, Input service and capital goods whereas Input tax credit details as per Table-6 requires such break up. How to report the same? Ans. Any other ITC which is not specifically included in 6B to 6L will be reported here. This will include ITC claimed through Form ITC-01, ITC-02, and TRAN-III credit. - Table-7A: As per Rule-37. - Table-7B: As per Rule-39. We thank CA. Hiren Pathak for drafting this write up and CA Shubham Khaitan for reviewing the same. For any queries, you may connect with the authors at idtc@icai.in . your FAq's on annual return says this. 33. Whether any ITC pertains to FY 2017-18 but claimed subsequently in GSTR-3B of April-18 to September-18 will be reported in Table-6? Aggregate value of input tax credit availed on all inward supplies (except those on which tax is payable on reverse charge basis but includes supply of services received from SEZs) received during July 2017 to March 2018 but credit on which was availed between April to September 2018 shall be declared here. 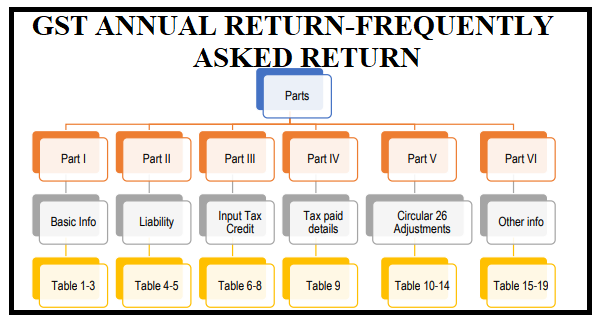 Table 4(A)(5) of FORM GSTR-3B may be used for filling up these details.